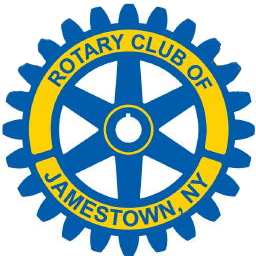 Development in downtown Jamestown was the highlight of today's presentation. John Lloyd introduced today's speaker, Joe Rollman with Leaf+Stone Landscape Architecture in Bemus Point, who provided insight on the Northwest Arena expansion project. According to Joe, the plan is to construct a new addition to hold a Kids Zone play area; create a gift shop and office spaces for the National Comedy Center; to add a concession stand to sell snacks and water; and to enhance the third floor conference room. The project is being headed by Northwest Arena officials to produce more revenue, so the facility isn’t reliant on funding. So, what is the Kids Zone? Joe says the new 5,000+ square feet addition to the arena would be ideal for parents who want to leave their children some place safe while they tour the National Comedy Center or while one of their other children participate in a skating activity. As for the new concession area, it would be for selling snacks, deli sandwiches, water and soda. The area would be more easily accessible for skaters, and not force them to take off their skates and climb to the upper level concession area. The project would also include a new redesigned office space for arena officials. A new third level conference room would be redesigned to enhance the experience with views of the ice rink and downtown Jamestown. The new third floor layout would also include office space for National Comedy Center employees, who would lease the space from arena officials. The potential project also includes the National Comedy Center leasing space for a gift shop on the first floor. Increased draw to downtown is one of the main priorities of this project, Joe says, and will complement the soon to be open National Comedy Center. 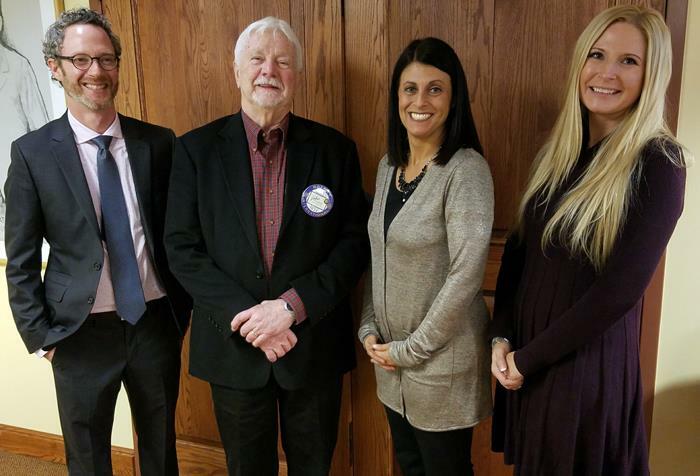 Many thanks to Joe, as well as Kristy Zabrodsky, who was also in attendance at today's meeting and provided additional information on the project.